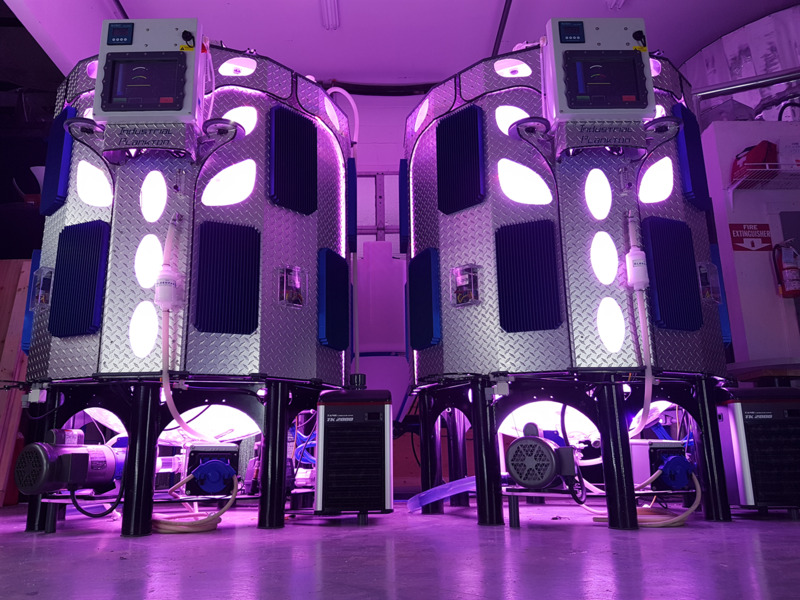 Industrial Plankton`s algae bioreactors produce the base of the aquatic food chain for aquaculture hatcheries, reliably, and cost effectively. The algae produced on-site is an ideal feed for larval shellfish and shrimp. Finfish hatcheries also benefit from live algae for enriching rotifers and generating live greenwater. Using real-time monitoring, user friendly equipment, and datalogging, our equipment simplifies algae production, letting hatcheries focus on their livestock, and not their algae.